This show is absolutely bananas. I can think of no other way to explain it. Last night my roommate walked into the room while I was watching the latest episode (third episode of season two), and I made a vague effort to catch her up on what she'd missed since she stopped keeping up with it in season one. That conversation featured such gems as "Yeah, so his son is an old man and also the Horseman of War," and "Irving is in a mental hospital now because he tried to tell the truth about demons possessing his daughter and using it to blackmail him and everyone thinks he's crazy," and "Katrina's out of Purgatory but now she's the Headless Horseman's prisoner and he's trying to date her." And the thing is, that wasn't even half of what had happened. It's a really weird show. But when we get down to it, isn't that Sleepy Hollow's main selling point? It's so intentionally and blissfully bizarre, like a bunch of studio executives played mad libs to come up with their flagship series, and it just really really works. It's a network dramedy about the Biblical apocalypse where one of the main characters is a black former foster kid whose family has a history of mental instability, and the other one is a Revolutionary War soldier risen from the dead. And it works. Normally this is the part of the review where I'd write a vague summary of the first couple episodes of the season and give my opinion on them and the probable season arc, but the thing is, if you're going to watch Sleepy Hollow, I don't want to spoil it for you. And if you're not, then you're really not going to care anyways. This isn't a show particularly well suited to recaps or even really analysis. It's intentionally racially diverse, intentionally has a lot of really compelling female characters with depth, and intentionally the weirdest freaking thing you've ever seen. It's hard to analyze that, honestly. Still, there are a few things about the new season that I feel are worth mentioning. Like I said above, there have been a lot of surprising developments since last season. 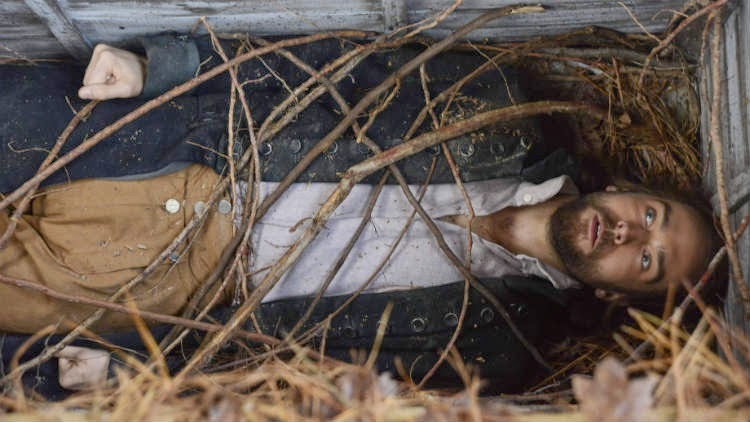 The season finale left Abbie (Nicole Beharie) stranded in Purgatory, Ichabod (Tom Mison) bound up and buried alive in his son's old grave, and Jenny (Lyndie Greenwood) presumed dead. 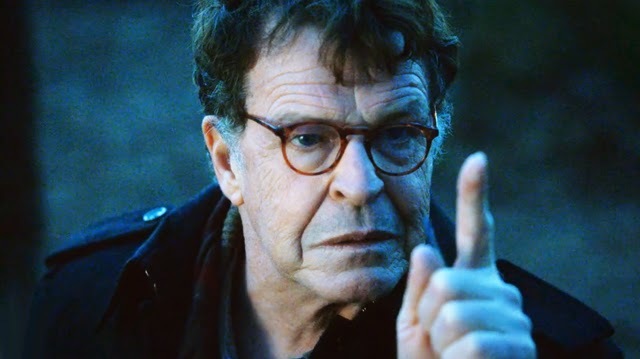 Captain Frank Irving (Orlando Jones) had taken the rap for things his daughter did while possessed by a demon and was relieved of his command, while the kindly old sineater, Henry Parrish (John Noble) was revealed to be both Ichabod and Katrina's son and the Horseman of War. Also Katrina (Katia Winter) was finally let out of Purgatory, only to immediately be kidnapped by the Headless Horseman who also happened to be her ex-fiancee. It was a really tense nine months waiting for the show to come back. Just saying. Now, in the second season, Abbie and Ichabod are both safely back in the land of the living, though I won't say how, and Jenny actually never died in the first place. Katrina is still with the HH, sure, but she's there mostly as a spy and dissenter, so it seems she finally has some agency in her story. And while Frank Irving is still taking the blame for a bunch of crimes he didn't commit, at least he's no longer in prison, having been committed to the local psychiatric hospital after deciding to tell prosecutors the truth. 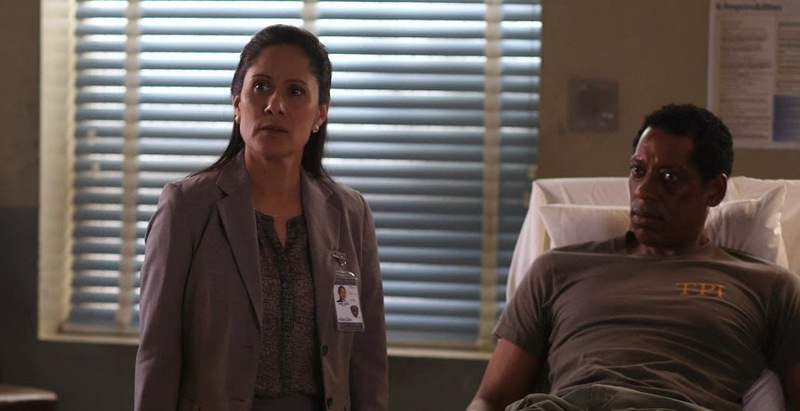 All that being said, the biggest narrative impact so far this season has come from Irving's removal and the introduction of a new character, Sheriff Leena Reyes (Sakina Jaffrey). Reyes is just as no-nonsense as Irving was at the beginning, with the big difference that she hasn't yet fallen into the world of the weird and wacky. (Give her time.) She's a little terrified at how badly the department was being run under Irving's watch, with an undocumented "history professor" having full access to police files, an escaped mental patient hanging out in the armory, and all those decapitations. Reyes puts her foot down and forces our heroes to go through a lot of hoops that they're not used to. While it's easy to hate her, narratively she's very useful. She creates a new character dynamic, spices up the more procedural episodes, and has a little layer of mystery around her as we discover that she knew Abbie and Jenny's mom. Yay! Plus, she's a woman of color who comes in as a solid authority figure and seems to be a well-rounded, non-stereotypical character. Overall the gender and racial representation on the show remains strong. Last season saw a lot of character attrition, with Morales and Andy both being men of color who were written out. But the show seems committed to keeping this from becoming white night - the two major new characters aside from Reyes are admittedly both white men, but they're the bad guys. Sleepy Hollow is a diverse place, and that's awesome. Plus, the show hasn't forgotten what made us love it. Partially it's the bizarre end of the world mixed with Revolutionary War history thing, and partially it's the never-ending saga of Ichabod Crane versus the modern world. This season has featured Ichabod railing against the tyrannies of the banking system (he really hates credit cards), how much he hates Ben Franklin and is annoyed that he's been so culturally significant, and the hilarious revelation that Ichabod Crane watches Glee. But the real pull of this show, at least to my mind, is the relationships. 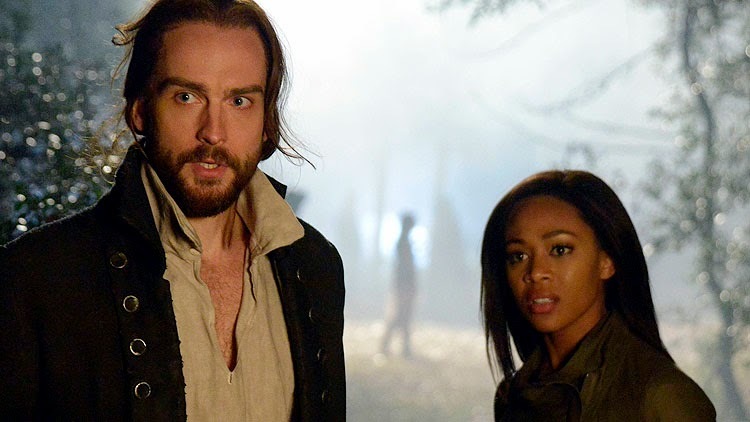 While other series, like Once Upon a Time, can really pull in mythologies and character relationships, and have a huge sprawling family drama tree, Sleepy Hollow keeps it relatively simple even when the actual relationships are very complex. Like, Abbie and Jenny both play key rolls in the coming apocalypse, but they're also two relatively young women figuring out who they are to each other now. Ichabod and Katrina were deeply in love, but a lot has happened since then, and now they're still separated, and now they have a son who's much older than either of them. It should be ridiculous to watch them all trying to suss out their family dynamic, but instead it's heartbreaking. You feel their sadness at seeing what has become of their son, and you mourn with them. You hope Henry can be saved. When it looks like Frank Irving might sway to the side of badness, you're immediately on the edge of your seat. It matters that he get a chance to talk to Ichabod and Abbie, because it matters that all of these people stay friends and stay on the same side and fight evil together. No one is the loose wheel that you kind of forget is there. Everyone is vitally important to the story, and that's wonderful. In this most recent episode, at the very end as Ichabod and Abbie are having their victory drinks at a bar (beer for her, white wine for him), Ichabod reminds us all what the show's really about. It's about trust. It's about the very human need to know that the people around you love and trust you. For all that this is a show about the apocalypse and time travel and other dimensions and demons, it's also really a show about how important it is to love and trust the people around you. Also it's just positively bonkers fun. To quote Welcome to Night Vale, "Weird at last, weird at last. God Almighty, weird at last." This is a show where the demons speak German, where Ben Franklin was a nudist and tried to dispose of profane artifacts by getting them struck by lightning, where the headless horseman's head is a bargaining chip, and where our heroes hug it out every single episode. It's an insane show, and we wouldn't have it any other way. Con Report: Geek Girl Con '14 Cosplay Roundup! Geek Girl Con All Weekend Pass, Baby!